Piet Briel-I cannot change the past but I can build a better tomorrow. 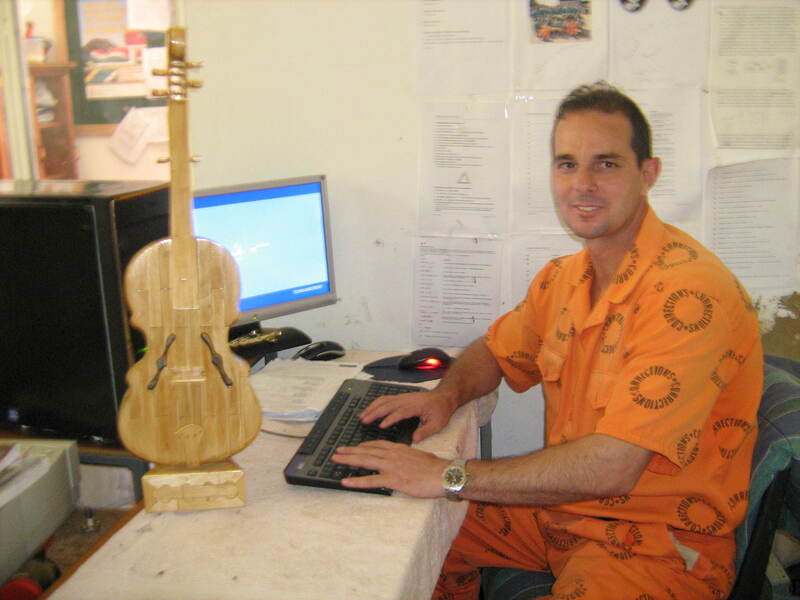 The beginning of good life for offender whose life was ruled by drugs, Piet Briel (35), started to change amazingly when his mother visited him at a correctional centre. An official called him and asked him who the woman seated there with her head buried against the ground and wiping tears on her face. Briel realized it was his mother waiting for the bus to take her back home. “I started to pray God to help me change my life for good. The following day I registered for my matric but some of my fellow inmates very close to me where laughing at me”, He said. The thorny issue of prison turned into place of new beginning bore fruits. His journey to recovery started when he decided to give his life to God. The whole life of Piet Briel changed completely after he passed his matric and continued to study computer studies through distance learning. In 2007 he went to graduate at Boksburg prison where his mother attended the ceremony. “My mother also cried again but this time it was tears of joy. She was proud of me and today I am a qualified computer technician”, He explained. He completed rehabilitation programmes such as anger and conflict management, drug abuse, forgiveness and small business development. “I cannot change the past but I can build a better tomorrow. I deserve a second chance to make things right”, He concluded.